Transmission network, the backbone of any power system enables transfer of bulk power from the generating stations to the load centers. Over the years the intra state transmission infrastructure in Kerala has grown substantially with the addition of more and more EHT substations and lines. 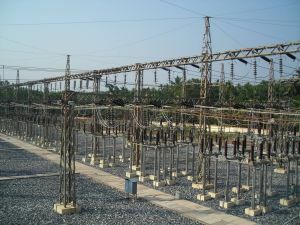 The Kerala grid is presently connecte d to the national grid mainly through three 400 kV double circuit lines viz. (1) Udumalpett – Madakkathara, (2) Thirunelveli – Pallippuram (Trivandrum). The transmission sector of KSEB Ltd is geographically divided in to two zones – the North Zone headquartered at Kozhikode and the South Zone headquartered at Thiruvananthapuram. Each zone is headed by a Chief Engineer. 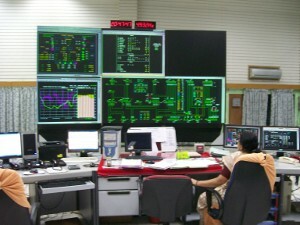 In addition to the above, the System Operations wing which performs the real time management of Kerala Power System also comes under the Transmission SBU. The System Operations wing is headed by a Chief Engineer and is headquartered at Kalamassery. The Kerala grid has grown considerably during the recent years. We have as many as 393 Substations spread across the state as on 28.02.2018. Also the total length of our transmission network is 11996.89 Ckm. The total power transfer capacity of our Substations stands at 17,548 MVA. An abstract view of the transmission system of the State is given in the table below. The system operation wing was able to manage the grid with out load shedding since June 2013 through meticulous planning and effective management of the system even on the face of increasing power prices and while the rest of the country was reeling under severe power cuts. This was achieved by exploring market opportunities and also through efficient utilization of the hydro resources.